So one of the things that I have been dying ti try is how to make ice cream at home without an ice cream maker. Not that I have made ice cream with an ice cream maker mind you but I like to create things with the least amount of tools possible. 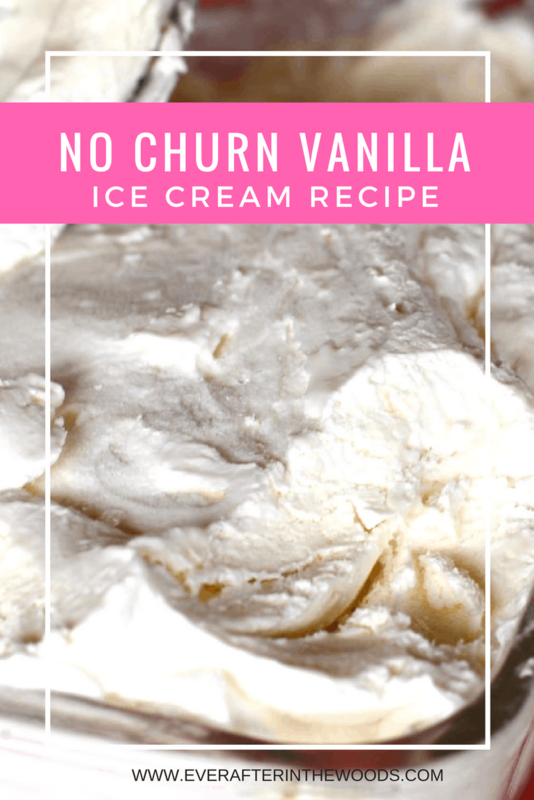 This recipe is so easy to make and it is a great beginning recipe that you can add to, that makes a creamy and light ice cream. My kids love the mix ins of course so we make so many different varieties. My favorite is probably the mint chip ice cream. Simply add 2 teaspoons peppermint extract and chocolate chips. Yum! Place a 9×12 loaf pan into the freezer. 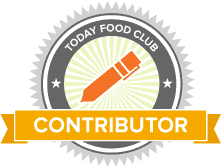 In a large bowl, mix to combine sweetened condensed milk and vanilla extract. Set aside. 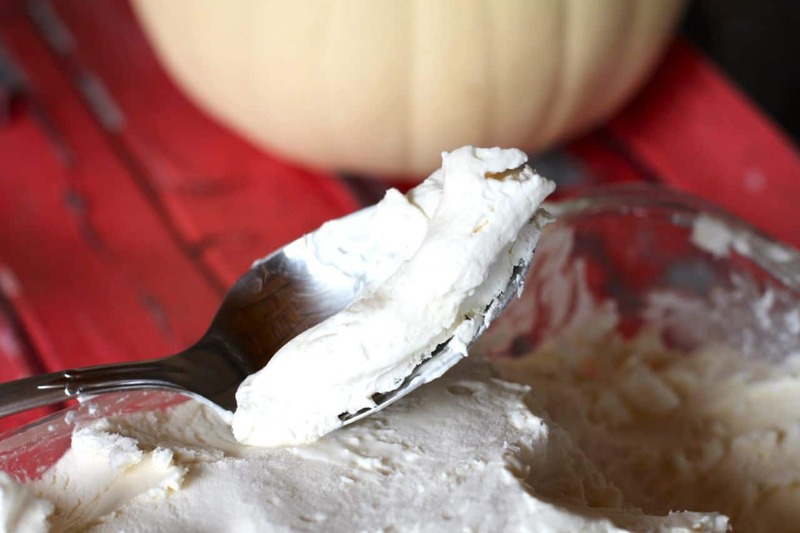 In the bowl of an electric mixer with the whisk attachment to whip the cream to stiff peaks. 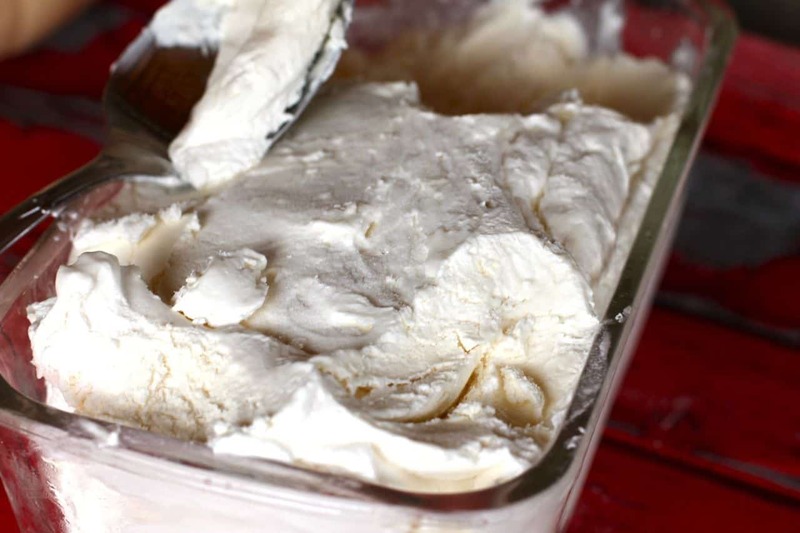 Fold about 1 cup of the whipped cream into the sweetened condensed milk mixture, to lighten, then fold in the remaining whipped cream. Get the loaf pan from the freezer and place the cream in the pan. Freeze for 4–5 hours, until firm. 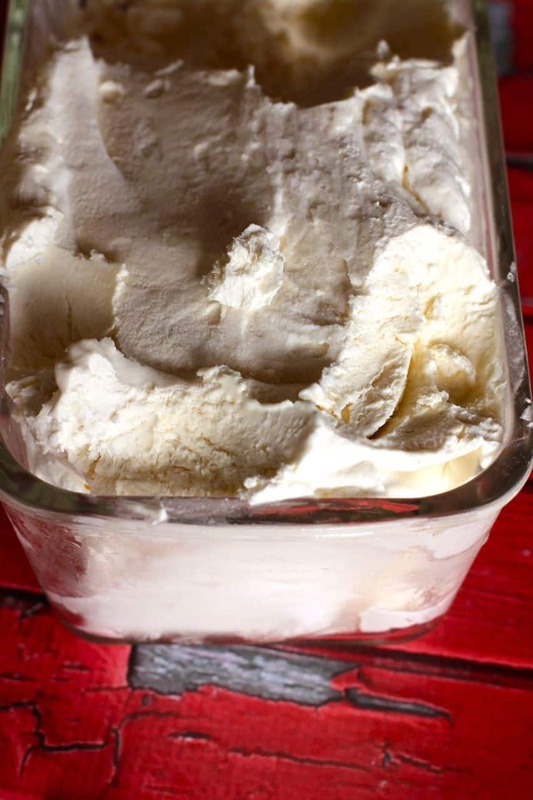 *** What ever you want to mix-in to your ice cream can be added to the sweetened condensed milk first. This can be chocolate chips, crushed sandwich cookies, brownie bits- you name it! That is it- so simple and easy to make. If you eat it after a few hours it is still soft and scoopable. ALmost like the perfect texture for eating! Enjoy the recipe.